PARENTS are what makes All City Elementary a unique place for your child to learn and grow. Parents listen to a teacher’s instructions to be prepared to help students. Parents of All City students are required to commit four hours per week (per enrolled child) in their child’s classroom. Activities range from working one-on one with a child to doing administrative work for teachers (and everything in between). Through parents’ commitment to the classroom settings, All City supports our teachers in doing what they do best: teaching. This proven model of parental-involved-education gives children an unparalleled educational experience. 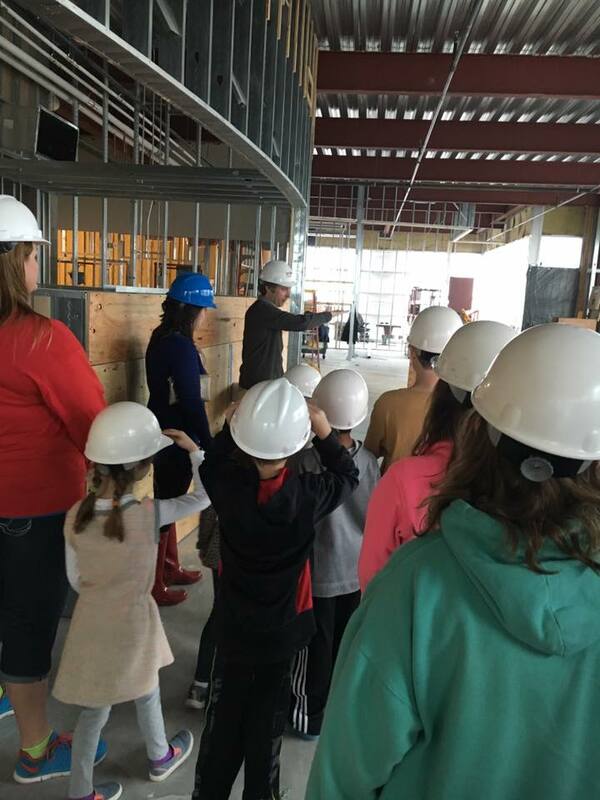 A parent takes students on a tour of one of his building projects to explain his role as an architect. Parents are also required to provide either an educational experience through our “choice day” activities or help at one of two annual festivals, the Fall Festival or Snowflake Shuffle. All City students are exposed to our broader community and the unique skills and professions of the parents. A parent volunteer who has taken on the role of musical director leads our students through a rehearsal. Parents can also fulfill a portion of their “In Classroom Commitment” school support roles called “outside commitments”. From directing our annual school musical, to organizing community service projects, to writing our school newsletters, we capitalize on the talents of our parents to enrich the lives of our students. Parents are eligible to do these “outside commitments” after their first year at All City.